I love to eat this chu yau char or fried cube pork. Ask pork seller to sell you pork and you can render chu yau char at home. 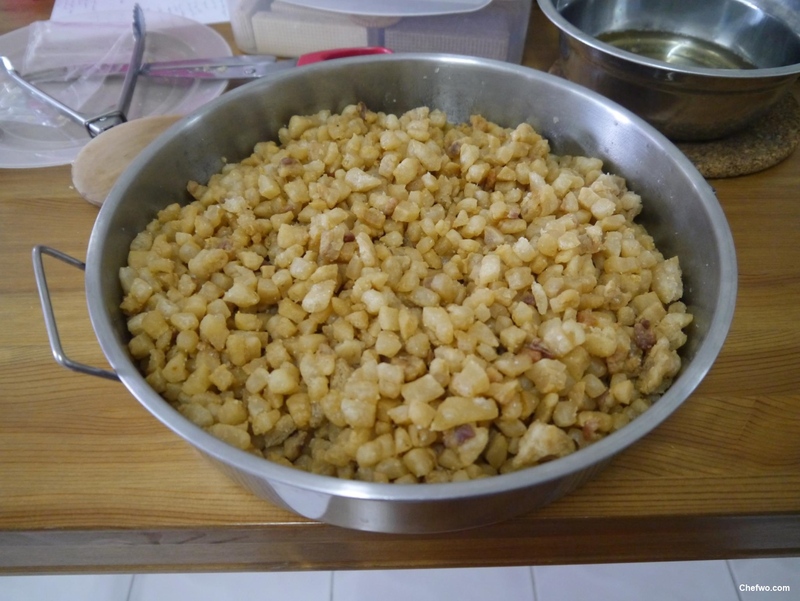 It’s very easy to render pork oil and make this crispy pork using wok. Just cut into small cubes and put all into wok and wait for it to turn into oil and crispy!. This portion easily finish in 1 month. How to use chu yau char? 2) Whenever you cook dishes, put a tbsp or two and it taste awesome! Or you can saparately toast in wok and sprinkle on top of dishes. 3) Sprinkle on top of noodles. 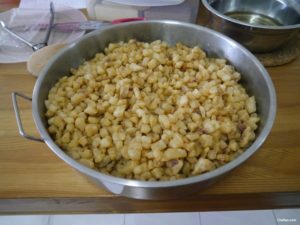 How to store chu yau char? Store inside bottom fridge compartment (not freezer). Whenever you want to eat, dry toast in wok in medium fire and it’s ready to serve!